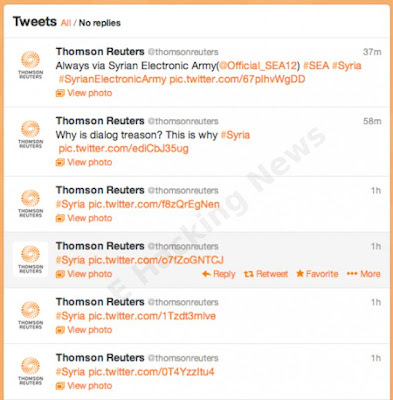 Thomson Reuters is the latest victim of a series of twitter hacking attacks targeting media organizations. 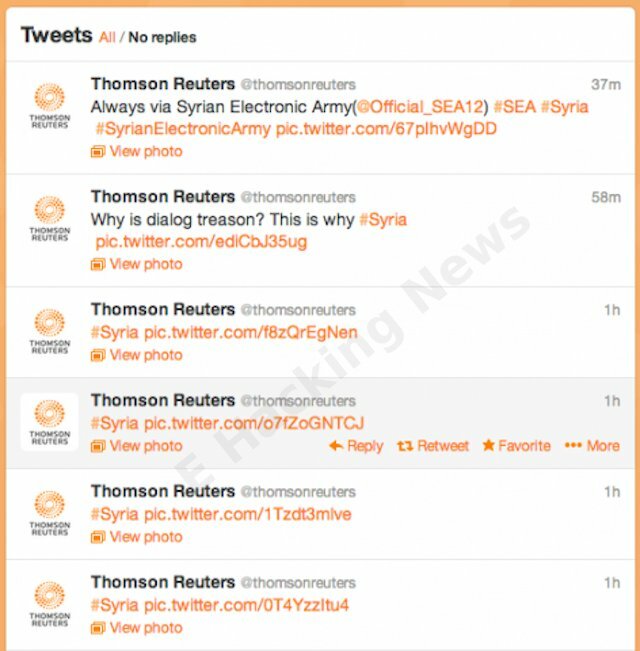 Earlier Today, Syrian Electronic Army hijacked the @ThomsonReuters account and posted series of tweets. The hacked account is managed by their social media team that has more than 80k Followers. However, the main account @Reuters is not affected by the attack. Thomson Reuters joined the list of media organizations hacked by SEA- It includes Telegraph, Associate Press, FT, The Oninon, BBC and more. The SEA has posted a series images from the hacked accounts . At the time of writing, the account is suspended.